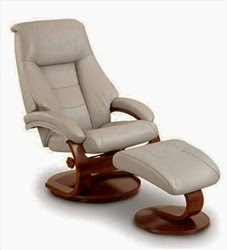 With over 35 years of experience in the Home Furnishings Industry and several successful motion seating inventions, MAC Motion Chairs is a leader in the Innovation Of Motion. The object of our company is to offer a quality European designed product to the North American retail furniture trade at prices affordable to most consumers. 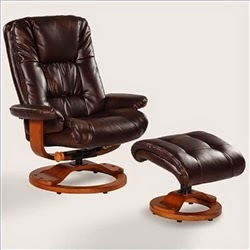 Stylish two piece motion chairs & ottomans have become an everyday desire by the American Consumer as replacement to the conventional recliner. MAC will lead the industry in the “Future of Motion” and soon become a household name for comfort, durability and style. Plush is the word for this unique Euro Design motion chairs and matching ottoman. 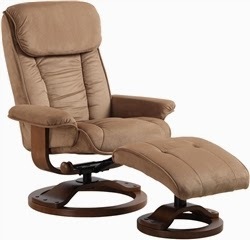 Features for this comfortable chair include 360 degree pinion swivel with multiple reclining position adjustment. Norwegian styling never had it so good, with this unique 2 pc matching chair and ottoman, from the "Oslo Collection". Nested within the strong selective hardwood frame and accented with matching ottoman, this is the winner! Norwegian styling never had it so good, with this unique 2 pc matching chair and ottoman, from the "Oslo Collection". Nested within the strong selective hardwood frame with a rich wood frame finish, to match its accented ottoman, this is the winner!